Canfigure is an IT Service Management solution with incredible flexibility. Scroll down to see the many ways our software can be "canfigured" for you! Any country, any industry, we can help. Canfigure is designed for scalability. We believe in keeping it simple with easily self-deployable, cost effective standalone tools allowing you to scale up through a library of well designed modules, growing your number of assets and expanding you user base at a pace that suits you. "As a 10 year veteran of the product I like how it aligns to IT Service Management. 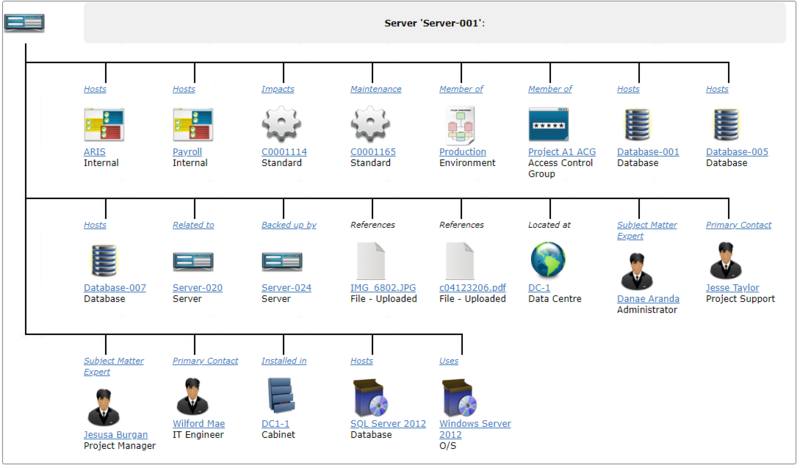 It is so extensible and well modelled for Service Desk and IT management under ITIL. The biggest payback is when your service desk staff "click" as to why maintaining a CMDB is the cornerstone of service delivery - and why logging calls (especially staff self-logging) is the key to managing requests." With out of the box support for all IT assets, Canfigure can be customized to hold information for any type of asset including IoT, facilities, transportation and more. The database schema can be extended via the admin functions with no technical knowledge required. Asset information can include financial data and be used to track important dates such as warranty expiry, and linked directly to supporting contract documents. Barcodes can be generated directly from serial numbers and scanned with our mobile app to lookup an asset in the system. The heart of Canfigure is a Configuration Management Database (CMDB) that underpins all other functions. 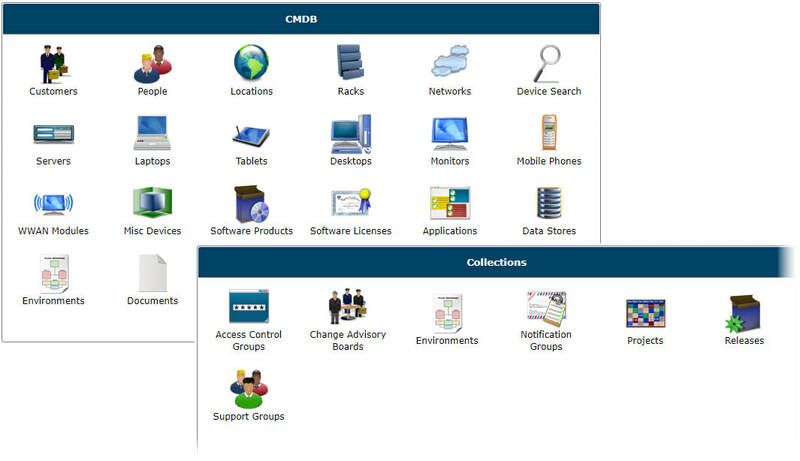 The CMDB holds your data in the form of Configuration Items (CIs) and the relationships between them. The CMDB can be populated from multiple data sources including CSV, Excel, Active Directory, API, Discovery Tools and other external data sources. Canfigure's default CI types include Locations, People, Devices, Software, Documents, Networks, Racks, Data Stores and Collections. Easy to understand relationship diagrams are at your fingertips. Reduce risk to your enterprise with robust governance of your assets. Canfigure supports multiple levels of review and approval for all changes with full integration with asset and incident management. The Template driven design enables you to pre-define workflows and approval rules. Leverage the CMDB to perform a full impact analysis and trigger notifications to the right people. Canfigure can be used to manage deployments of complex applications across multiple environments, with a release management extension supporting Work Packages, Projects, Software Components and Release calendars. Customers and their related Services can be created and managed in Canfigure. This can either be done directly or via API integration to a 3rd-party CRM or Portal product. The Canfigure CMDB schema can be extended to support any necessary Service properties and data entry forms required for Provisioning workflow. Any number of Tasks can be defined within the Provisioning process that collect the required data from your internal teams and field force. Photos and notes can be uploaded and attached via our mobile app. Customers and their subscribed services can be displayed in the relationship diagram allowing you to traverse the tree to display dependencies on your infrastructure. Canfigure can track the life cycle of parts, from initial build through to test, installation, RMA, and disposal. Line replaceable units can be made up of multiple parts, each with their own properties. Track on hand stock, and associate installed parts directly with the customer asset. Workflow support for all life cycle actions, including Build, Install, Part Swap & Configuration Changes. Approved Environments ensure your deployments match an approved configuration. Take the hassle out of scheduling server patching manually by setting your patching rules within Canfigure. An automated Request for Change itemizes the servers due for patching with built-in dependency checks. Canfigure is written in PHP and can be deployed on Windows Server or Linux platforms. We also offer both an on premise and AWS cloud option. Extensive APIs are included along with native integration with Active Directory and 3rd party data sources. Our unique design puts the capability to customize the software in your hands, so your dependency on us is minimized! Need to configure something special? We often build custom extensions to Canfigure to meet customer special requirements, and these often end up being part of the base product. If you need something that isn't 'out of the box' we would be happy to quote for it. We are a privately owned software company located in New Zealand. Our experience extends over 29 years and we enjoy being a niche provider to our valued customers. Canfigure has been through a number of iterations and was originally conceived in 2005. We now service customers across the globe and are passionate about our software. Customer ideas regularly get included into future versions of the software so everyone benefits, and we are constantly innovating! Ok, so you're probably thinking how we can support and service customers world-wide from our corner of the globe? The design of our software includes the required functions for YOU to perform all customization and changes with minimal involvement from us. We utilize local partners where necessary for implementation, support and training. We provide web-based training and support to give you the necessary knowledge to run with the software. With customers in over 12 countries we have a proven method that works. Just ask them!